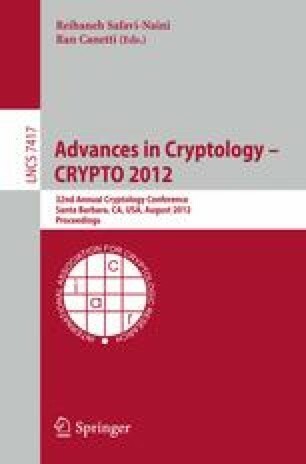 We show how to exploit the encrypted key import functions of a variety of different cryptographic devices to reveal the imported key. The attacks are padding oracle attacks, where error messages resulting from incorrectly padded plaintexts are used as a side channel. In the asymmetric encryption case, we modify and improve Bleichenbacher’s attack on RSA PKCS#1v1.5 padding, giving new cryptanalysis that allows us to carry out the ‘million message attack’ in a mean of 49 000 and median of 14 500 oracle calls in the case of cracking an unknown valid ciphertext under a 1024 bit key (the original algorithm takes a mean of 215 000 and a median of 163 000 in the same case). We show how implementation details of certain devices admit an attack that requires only 9 400 operations on average (3 800 median). For the symmetric case, we adapt Vaudenay’s CBC attack, which is already highly efficient. We demonstrate the vulnerabilities on a number of commercially available cryptographic devices, including security tokens, smartcards and the Estonian electronic ID card. The attacks are efficient enough to be practical: we give timing details for all the devices found to be vulnerable, showing how our optimisations make a qualitative difference to the practicality of the attack. We give mathematical analysis of the effectiveness of the attacks, extensive empirical results, and a discussion of countermeasures.